Who is out and about in the Showy Primrose flowers? 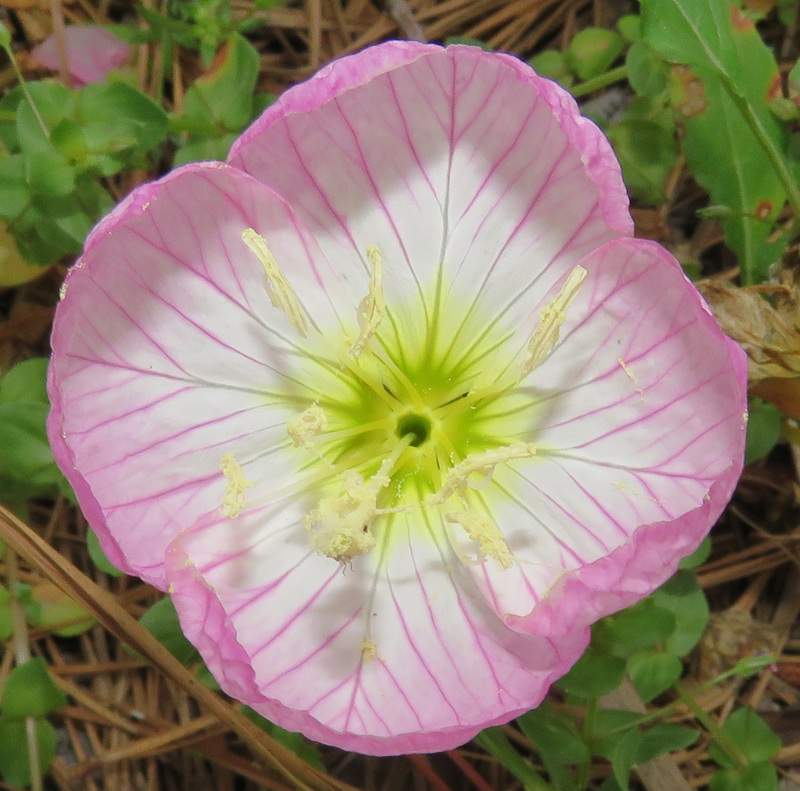 Waiting for a guest, the Showy Primrose, Oenothera speciosa, ranges from pale to deep pink. Bush Katydid nymphs, Scudderia sp., are frequent visitors. 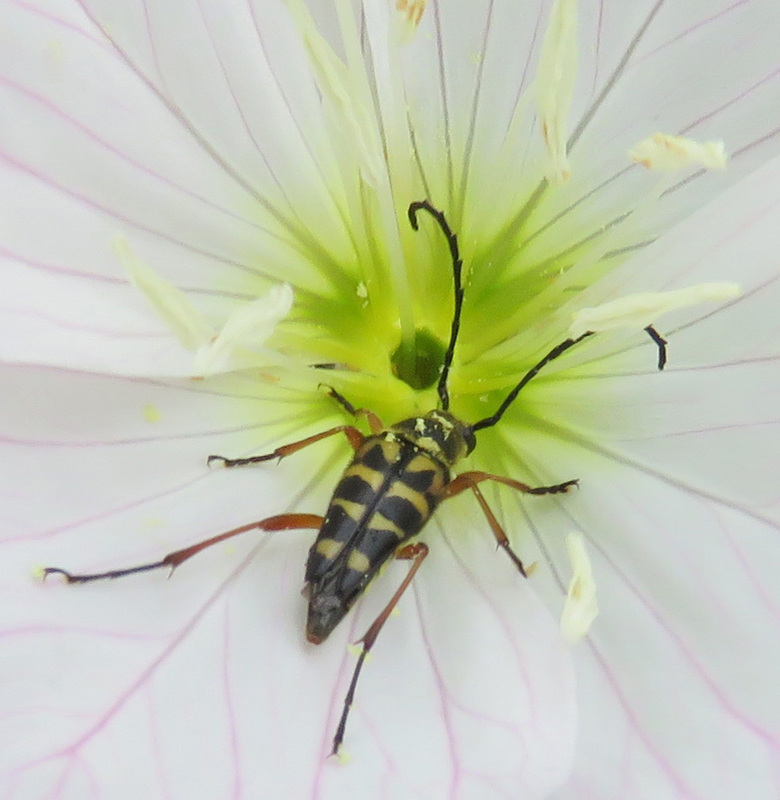 Beautiful and complex patterning on a creature that is about an inch long. 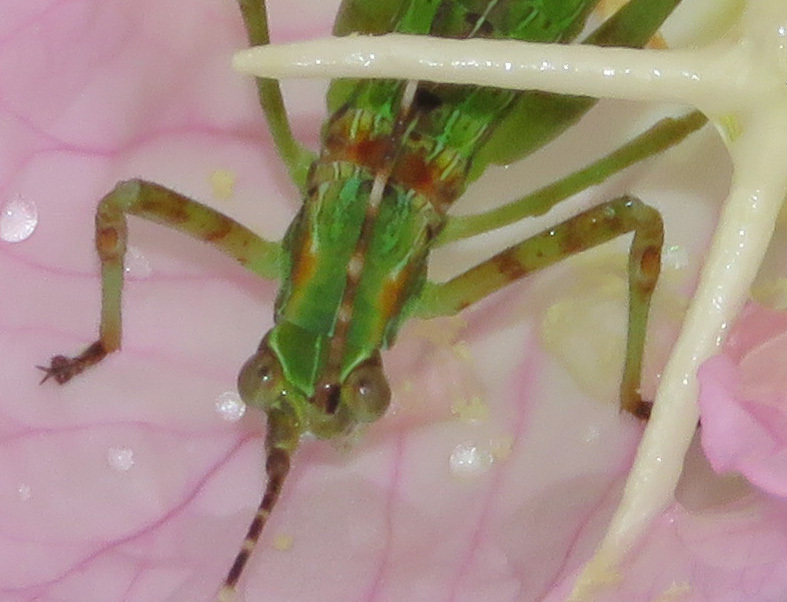 Another great nymph photo on BugGuide.net. 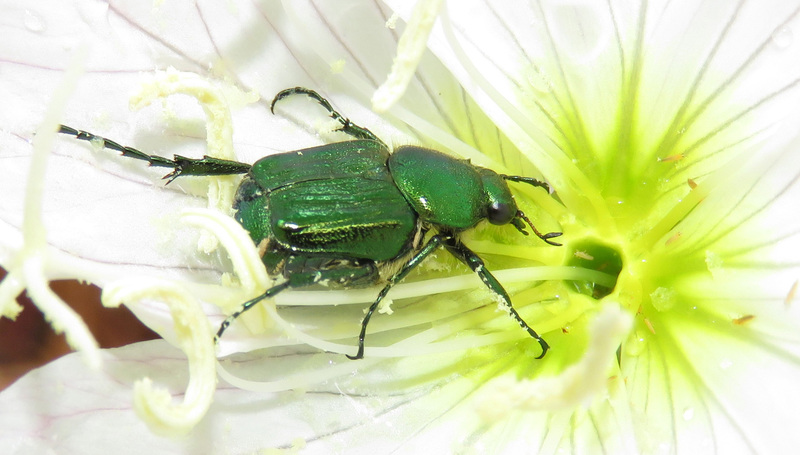 Emerald Flower Scarab, Trichiotinus bibens, on a pale blossom. 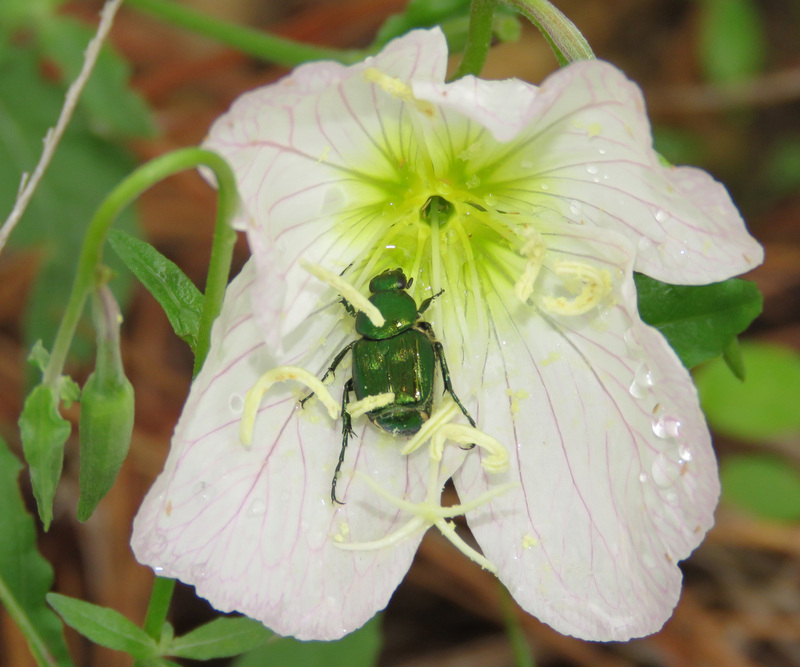 Pollen is sticking to the beetle’s legs. 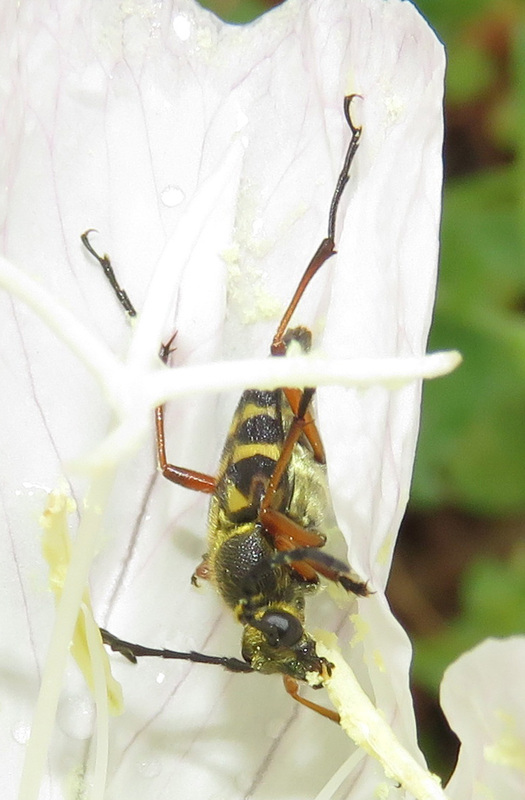 Zebra Longhorn Beetle. 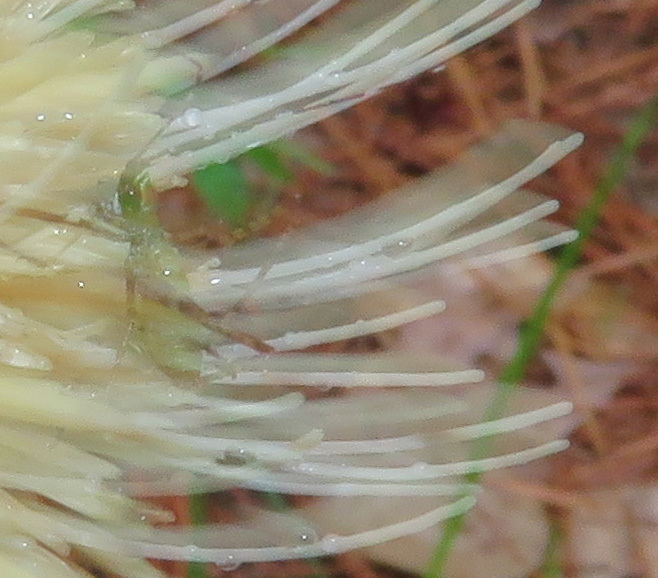 The larvae bore in dead pines, but the adults are seen on flowers. 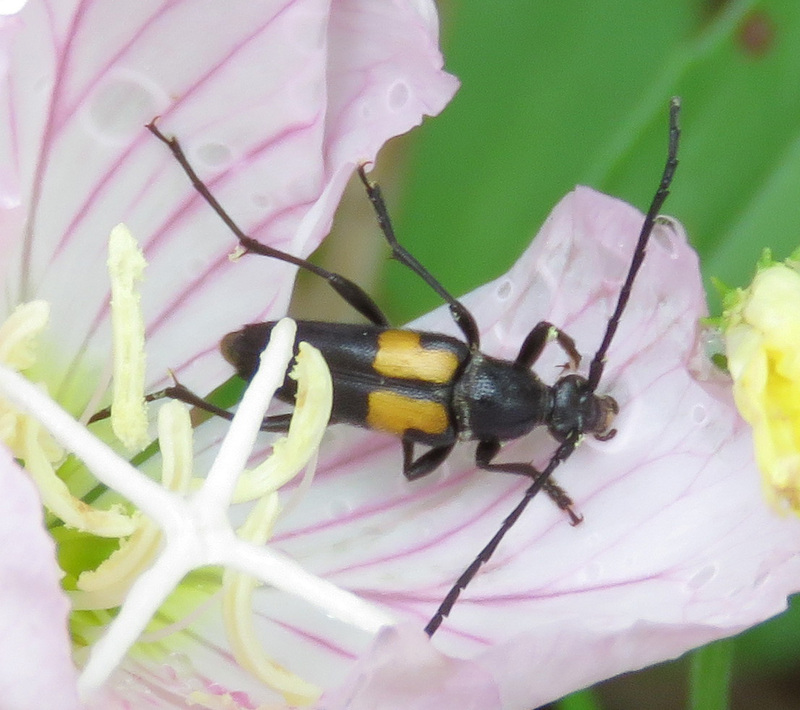 In the same genus as the Zebra Longhorn, this is a Texas Stillingia Beetle, Typocerus lunulatus texanus. As I was taking these pictures, I accidentally hit a combination of buttons on my camera that I had never hit before, and found out my camera has a “slow-synch” mode. I had seen that term on photography blogs so I decided to try it. That is the only explanation I can come up with for some ghostly images that turned up –the slow-synch flash caused double exposures as the flowers whipped around in the wind. 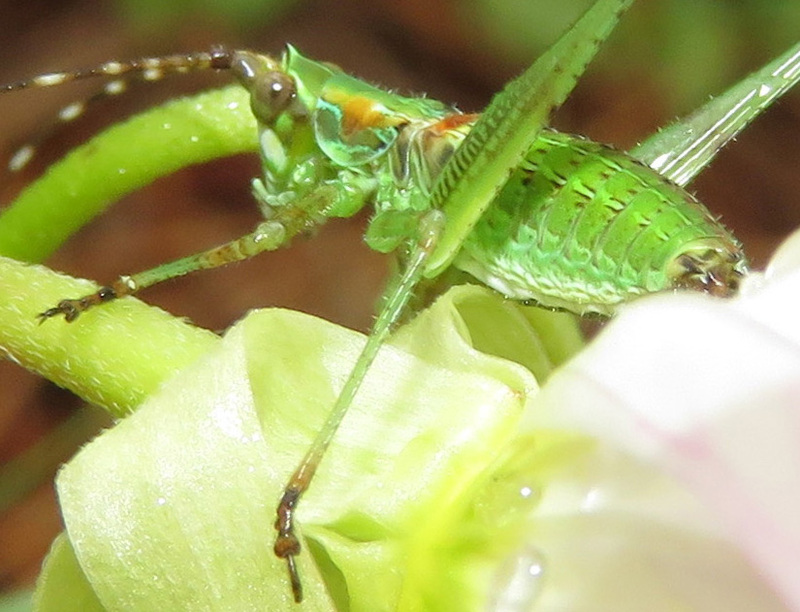 A ghostly katydid nymph on a thistle. I really like that effect and I will try it again sometime. 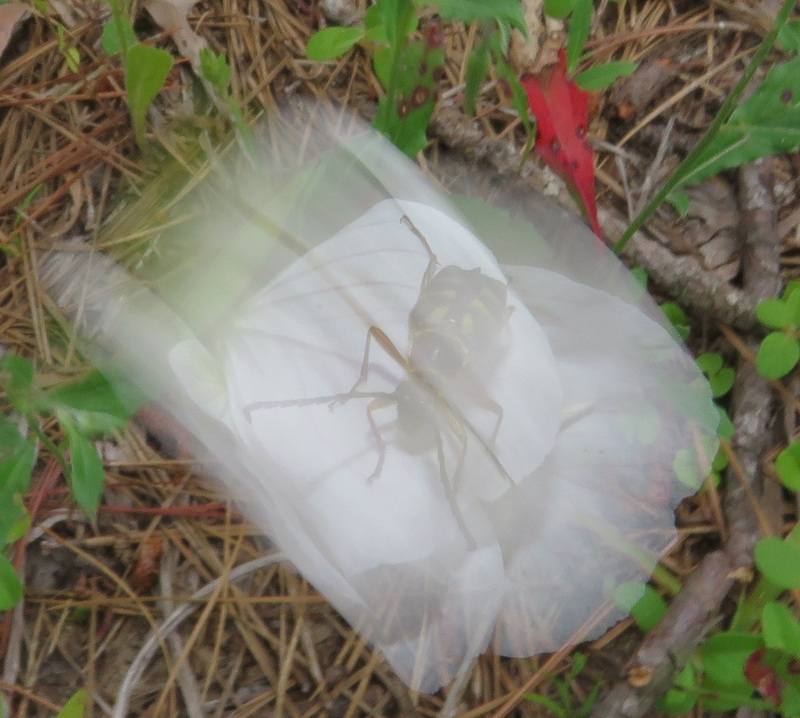 But I also enjoy getting to zoom in on these insects and see them clearly!